When making a real estate purchase for a home – most Canadians are financing a part of their transaction. This is usually done with a mortgage loan. Typically I see home buyers investing a down payment of their own hard-saved dollars of around 5-25% with the remaining balance owing on the purchase becoming their mortgage. The majority of my clients use 1 of 2 channels to arrange their mortgage. Brokers often advertise the lowest rates but care must be taken to fully understand the product offered. Early payout penalties, non-portability, and other rules and fees can make super-low rate products less attractive. 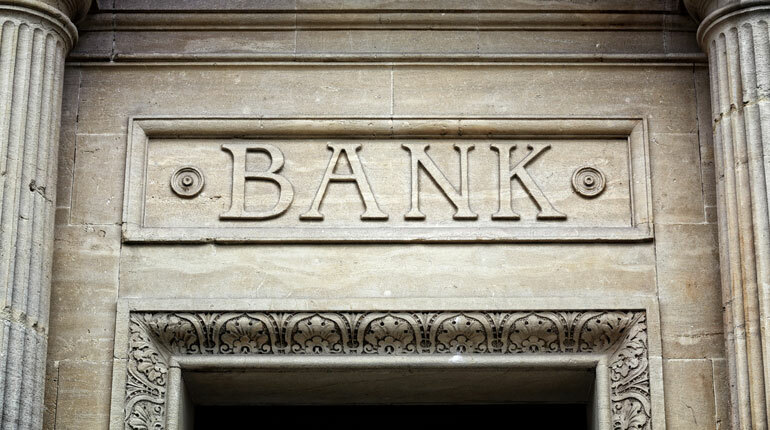 Bankers posted rates usually look higher but there can be room to negotiate. PRO TIP: Don’t be afraid to ask for a better rate then what is offered. A larger operation like a bank or larger brokerage house will have multiple mortgage experts and therefore better coverage if your primary person is unavailable. “Bankers hours” are a thing of the past. Although the bank branch is open only certain hours, most good mortgage specialists (bankers and brokers) are available evenings and weekends for their clients. PRO TIP: Choose a mortgage specialist that offers their cell number on their business card. advantage of. Dealing with a broker can give you access to dozens of different lenders and possibly hundreds of different mortgage products. PRO TIP: Take your time. Do your homework (before you make an offer) to figure out the best mortgage product to effectively meet your specific needs. In most cases bankers will have access to many more financial products then mortgage brokers. Credit lines, credit cards, consolidation loans, Insurance products, Investments like RSPs and TFSAs, and more. PRO TIP: This may be important to you if you prefer to keep all your financial eggs in the same basket. If your mortgage is 80% or more of the value of the property then by law – it must be insured. There are 3 mortgage insurance companies in Canada. CMHC, Genworth, and Canada guaranty. Different lenders tend to use different insurers. The mortgage insurance rates are the same but their criteria is not. PRO TIP: Ask your mortgage expert to explain which insurer they will use for your mortgage and why. Working with the bank means you can walk into the local branch and sit down with someone when you have questions. This is better if you prefer a more in-person and in-control approach to your mortgage needs. Working with a broker means you are meeting with a middleman between you and the lender. This is better if you prefer to have someone working for you as a buffer to communicate and negotiate with the lender. PRO TIP: No wrong answer here – It depends on your style of doing business. Both brokers and bankers will likely require the same information to get your mortgage approved but if you go to a broker you are likely starting from square 1 so expect to have to provide lots of paper. T4s, tax returns, job letters, bank statements, RSP statements, confirmation of firstborn child, etc. If you are dealing with your own bank they will likely already have a lot of this information accessible which may save you time and effort. PRO TIP: Get as much of this as possible out of the way before making an offer. Once you have an accepted offer in play, time becomes critical – you don’t want to be waiting on your employer or other third party to get the documents you need. Some people have credit challenges. There is a perception that when your credit is less than perfect your banker is more likely to help you but that is not always the case. The bank will have set rules and if you don’t meet the criteria those rules aren’t too easy to bend. A Broker often has access to “B” lenders who are more willing to take on clients with credit challenges however you can definitely expect a higher interest rate to make up for the added risk. PRO TIP: Whenever possible – stick to “A” lenders. All lenders will require a credit check but this is done at different points in the process depending on who you use. If you use a mortgage broker make sure they pull your credit at the beginning of the qualification process. This should only need to be done once (usually good for 90-120 days) and used with whichever lender they arrange the mortgage through. The bank often doesn’t do the credit check until they have a “live” deal. If you’ve had credit problems that’s when they find out about it and can ruin your chances at getting a mortgage. Better to know about that at the beginning then at the end. On the other side of the coin be sure not to have multiple banks or brokers pull your credit because every time they do it will reduce your overall credit score. PRO TIP: Be aware of your credit score before you apply for a mortgage. 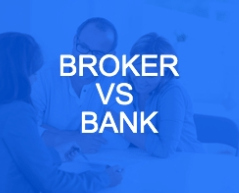 So… Bankers vs Mortgage Brokers – who really wins? At the end of the day I’ve had clients use both brokers and bankers successfully. Evaluate the comparison points and decide what is most important to you. If you’d like assistance in comparing or an outside opinion I’d be happy to help. If you’d like a recommendation to a Banker or a Mortgage broker (or both) then just ask! I’ll be happy to refer you to an experienced and qualified mortgage professional that has already successfully served my clients.